The human skin is quite sensitive in nature and it is vulnerable to a variety of problems. Luckily, different skin treatments help undo their effects and we can regain the natural texture and tone. A skin rejuvenation treatment can fix a variety of skin problems easily. This blog post discusses skin rejuvenation cost in Dubai. Please continue to reading know how this important treatment can help you get younger and glowing skin. Gone are the days when we could not do to stop skin aging. Today, there are different technique for skin rejuvenation and enhancement. Wrinkles, lines, pigmentation, scarring, and many other skin issues can be fixed by taking simple skin rejuvenation treatments. Laser Skin Rejuvenation: An advanced laser machine is used to get rid of wrinkles and fine lines. It is non-invasive and quite effective. Spider Vein Treatment: A doctor uses injections to collapse unsightly spider veins on skin’s surface. Dermal Fillers Treatment: A professional injects a particular medication using a syringe to improve skin contouring. Chemical Peeling Treatment: This skin cleansing and exfoliation treatment brightens the skin and removes impurities. Botox Injections Treatments: These latest injections try to block nerve contraction thereby relaxing the wrinkles. Microdermabrasion Treatment: It is a famous effective surgical scraping methods to soften skin surface irregularities. Intense-Pulsed Light (IPL) treatment: This unique technique is used to cure issues such as discoloration, skin sagging, etc. The skin rejuvenation cost in Dubai is different for different rejuvenation techniques. Here is how clinics calculate the cost of this treatment. Clinic’s Geographic Location: Where your treatment facility is located defines how much you will pay in total. The clinics with better quality standards also charge a bit more. Expertise of the Professional: The qualification and expertise of the professionals are a major price determinant. A dermatologist will obviously charge more than that of an aesthetician. Number of Treatment Sessions: To take care of some skin conditions, a person needs to take more than one treatment sessions. The patient has to pay extra from additional sessions. Do you want to know the actual skin rejuvenation cost in Dubai? 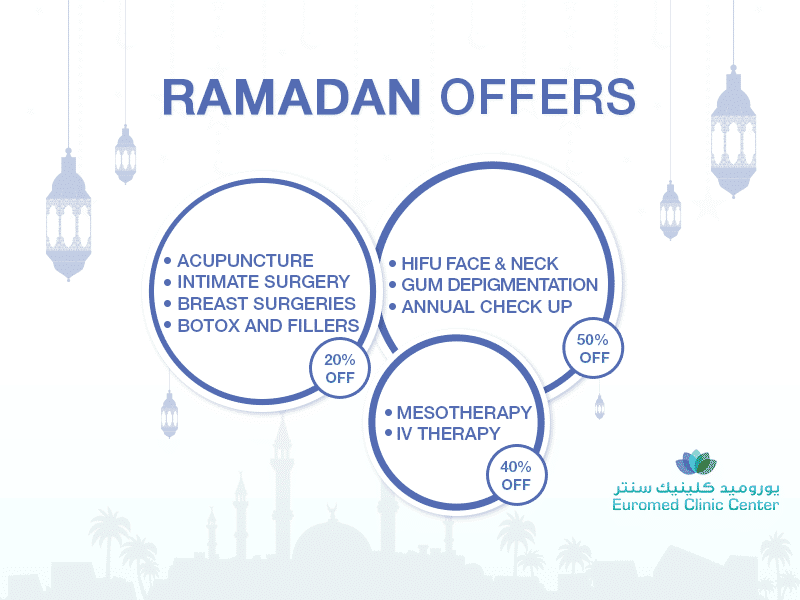 The Euromed Clinic Dubai charges a reasonable price for typical skin rejuvenation in Dubai. Do you need flawless and younger skin? Please feel free to get in touch to know our cost structure for this technique. In the end, we can conclude that skin rejuvenation treatment is an important way to improve the skin’s health. If you are facing a skin condition, you might be a good candidate for our skin rejuvenation in Dubai. Please do not hesitate to contact us if you need more details. You have read about skin rejuvenation cost in Dubai. If you want to rejuvenate your skin, please get in touch with one of our dermatologists to know how this treatment can benefit you. Book an appointment now by calling our number of filling the online form.